The new T1 RACE comes in five different colours. Want to really feel like a pirate? Corsair is a well-known brand in the gaming world for just about everything from PSUs to gaming accessories. The only thing they’ve yet to dip their fingers into is the ever popular gaming chairs, meant for maximum comfort and efficiency during those long hours in front of the computer screen. Well, wait no more. 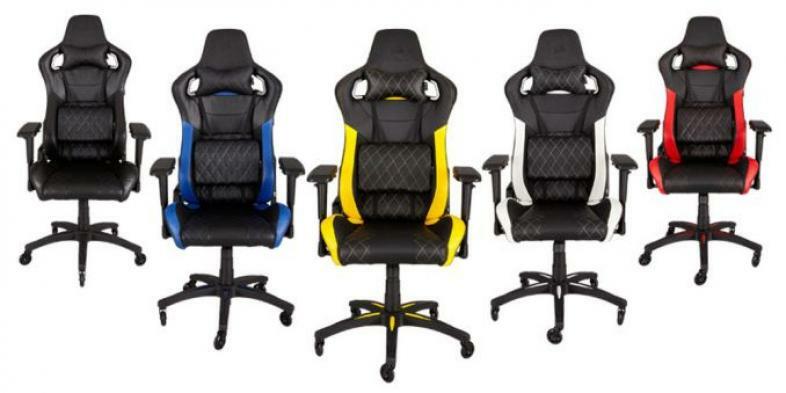 Corsair has just announced the release of their first ever gaming chair the T1 RACE. Based off of racing seats, it’s meant for comfort and built for durability, and also happens to come in five swanky colours. So what’s the T1 RACE made of? The T1 RACE is built with a steel frame and highly contoured dense foam cushions for padding and support. Removeable neck and lumbar pillows are included to keep that comfort going through long sessions. A synthetic PU leather covers all the seating surfaces and the chair itself is available in black, blue, red, white and yellow, with matching stitching. The chair also features a steel class 4 as lift to adjust the height and can recline all the way back to 180°, you know if you feel like putting a monitor on your ceiling or something. Five caster wheels made from nylon make for smooth and scratch free movement. 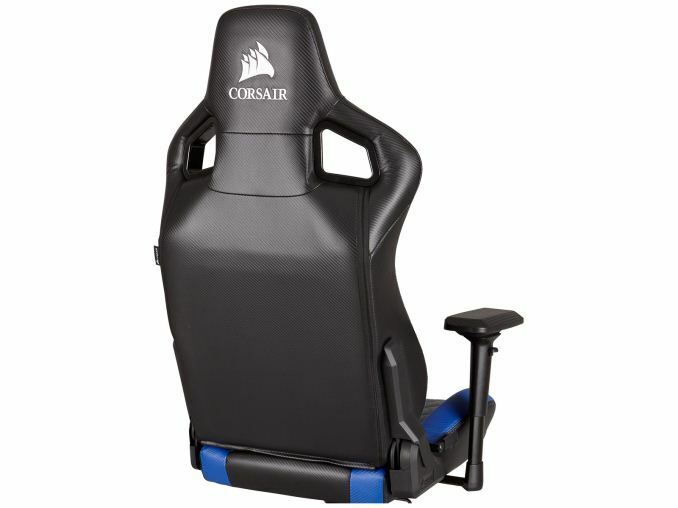 The T1 RACE is available worldwide with a suggested retail price of $350 USD, which is about the same price as some of those fancy office chairs so why not go for the one that has a fricken pirate ship on the back?